The death of Beastie Boy Adam Yauch is also the death of a living link to a city that no longer exists. 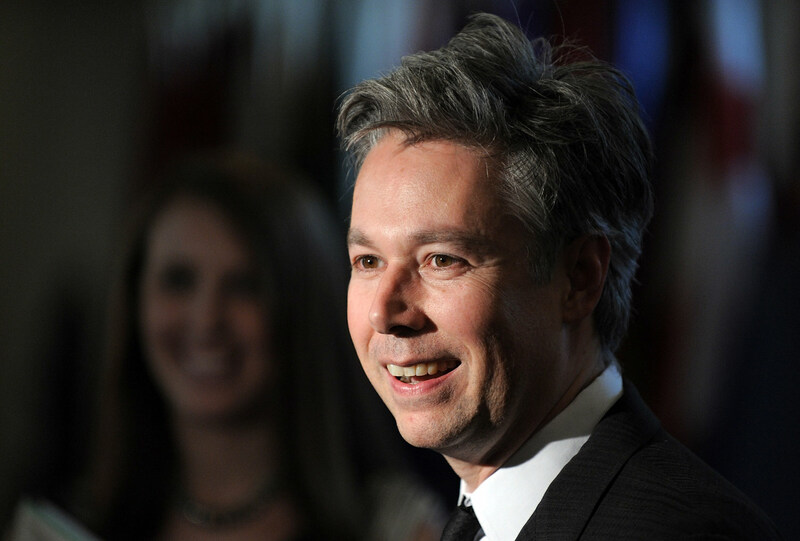 Editors note, August 5, 2014: Today would have been Adam Yauch’s 50th birthday. To mark the occassion, read Dave Zirin’s moving obituary to Yauch, from 2012. In the ’60s they said, “Don’t trust anyone over 30.” When it comes to remembering Adam “MCA” Yauch, who died on May 4, I don’t trust anyone under 30. Adam Yauch and the Beastie Boys stood for more than just hip hop and their personal “sounds of science.” They repped the soul of a city that no longer exists. The Beasties were global ambassadors from a lost New York City since smothered under the weight of police violence and gentrification. It was a city that churned out hip hop and basketball legends with arrogant ease. It was a city where the question “what do you do” was less about your job than what you did after work. It was a city where the clubs you could get into were less important than the neighborhoods you could get into—and out of. It was a city where if you could see over the counter, you were getting served. It was a city where a scuffle on 42nd and Broadway might spark and you would not even blink. It was a city that’s remembered as being “divided,” and those divisions were real. Few realized at the time that these divisions comprised two competing visions of the city’s future, particularly who would live, work and die in its borders. Not even the Beasties realized that "you have to fight for your right to party" would become Giuliani-era prophesy. We stood together because the city was breaking apart and we were clutching each other on the same piece of floating earth. There were the names we all knew: Michael Stewart, Eleanor Bumpers, Yusef Hawkins. Places like Howard Beach. Bensonhurst and Crown Heights weren’t neighborhoods. They were crime scenes. This was my New York. I was the 12-year-old Jewish kid on the Upper West Side who played basketball, listened to Kurtis Blow, UTFO and Whodini and was called a “rap nerd” in my overwhelmingly white school. My teachers told my parents that my music, my awkward anger, my awful grades, were just a phase. For me, the Beasties were like a sonic liberation army playing the Battle Hymn of the Misfits. From the first time I saw them, in the 1985 movie Krush Groove, it was clear: They were Brooklyn, but they were Jewish. They were outsiders, but they were down. If you got the Beastie Boys, it meant you could get underground hip hop, get anti-racism as more than a pose and, f-ck it, get some damn friends. They taught us that you could fit in just by being true to yourself. MCA, Mike D, and Ad Rock, were my gateway to Public Enemy, Rakim, BDP and—of course—more Beastie Boys. Paul’s Boutique. Check Your Head. Ill Communication. Root Down. Hello Nasty. Always innovative, but never disconnected from their roots, even as the old neighborhoods were bring uprooted. Over one weekend in 1998, I was protesting Clinton’s bombing of the Sudan and Afghanistan. That Sunday night, there was MCA at the MTV Video Music Awards going out of his way to denounce the attacks from the stage. He spoke about anti-Arab racism in the United States and, in frighteningly prescient fashion, the dangers of what such indiscriminate bombing could eventually bring back to the States. They stayed true to themselves, but even more importantly, they stayed true to ideals forged by a forgotten city. Now, New York of the 1980s is as gone as a thirty-five-cent subway ride. Manhattan is an off-shore boutique and Brooklyn is where everyone wants to be and no one can afford to move. If there was any kind of conflict in today’s Times Square, it’s easier to imagine Navy Seals rappelling down to break it up than any kind of scuffle. Our last hoops all-star was Ron Artest. 98.7 Kiss FM with DJ Red Alert is now, as of last week, ESPN radio. The Yankees and Mets play in publicly funded palaces while the city’s public schools and social services rot from neglect. This past year, however, we saw some daylight in the darkness: the Occupy Wall Street movement represented the city’s first visible fight against the generational urban priorities of Mayors Rudy Giuliani and Michael Bloomberg. And there, marching with us, in between cancer treatments, was Adam “MCA” Yauch. MCA leaves us something more valuable than memories. He leaves a compass we need to move forward. It’s a compass that points to how you can grow up but still stay real. It’s a compass that directs us to fight for the future of the Five Boroughs and not just revel in the past, because the old enchanted city is never coming back. It’s a compass that speaks to the best parts of ourselves: to stand up, to be heard and to always never forget that there is no sleep ’til Brooklyn.